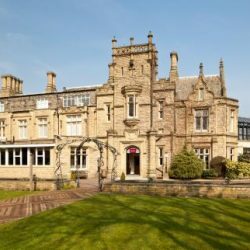 We are very excited to be working alongside the stunning Mecure Bradford Bankfield Hotel, as one of their preferred suppliers, at all their 2017 wedding fayres, which are run in conjunction with Wedding Fayres Yorkshire. Come along, meet with us and discuss how we can help put your dreams into action and ensure that your day is a truly memorable experience. We are a family run business with lots of skills and experience in the hospitality Industry and offer bespoke packages that can be tailored to your individual requirements. 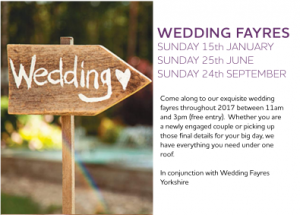 Thanks for some fabulous ideas from Jennifer today, keep a look out as you enter the grounds of the hotel for some different ideas of how to make your big day stand out!